Mercer assesses the potential financial impact of climate change on our superannuation funds. We combined our existing capital market forecasting process with findings from our 2015 public report called “Investing in a Time of Climate Change” to develop a tool that assesses the potential impact of multiple climate change scenarios on our portfolios. One of the scenarios considered was one in which global warming is limited to 2 degrees Celsius as envisaged under the Paris Agreement on climate change. 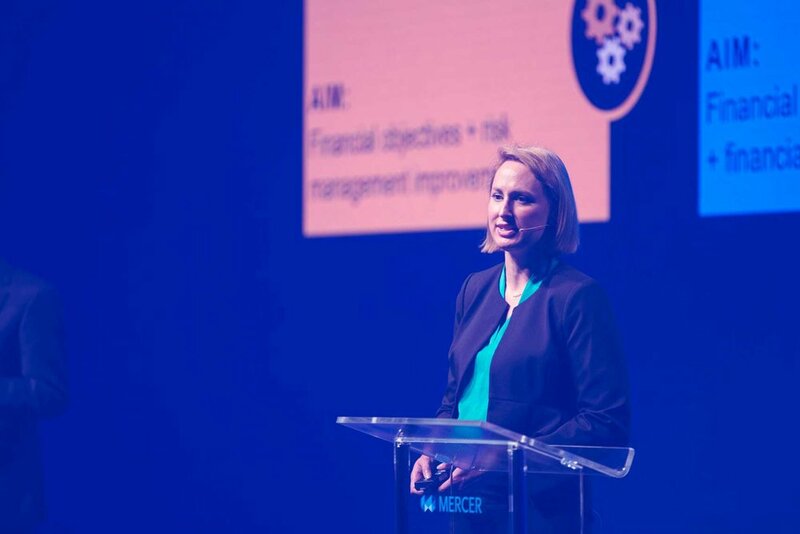 Mercer’s climate change scenario analysis is a world-leading innovation that enables our portfolio management team to develop strategies to manage the climate change risk to which our superannuation investors are exposed. For example, we are considering the inclusion of low carbon investment strategies as a means of mitigating climate risk. Colleagues from across portfolio management, investment consulting and research teams worked in partnership with Mercer’s Chief Investment Officer and global responsible investments experts to bring the diversity of thought required to develop this solution. We use agile work spaces and web-conferencing to collaborate across locations. The analysis provides important information that Mercer can use to influence the behaviour of ASX companies. For example, Mercer has engaged with a number of large Australian mining companies on their climate change strategies. Some of these engagements have resulted in increased climate change commitments from company management. While Mercer doesn't recruit graduates in portfolio management, we do recruit graduates as Investment Analysts in our broader Institutional Wealth Analyst Team, which provides an excellent training ground for a move into an investment management team. This role requires study towards CFA.